Ancestry.com Review – As Easy As 1,2,3,4! Discovering your ancestors can be an exciting, learning about who they were and all about them. This Ancestry.com Review will show you what you can expect from this genealogy site and whether it is right for you. This will be comprehensive review showing you how you can benefit from this website. I hope you enjoy it. Bottom Line The Most Popular Genealogy Site Today! This review will focus its attention on the pricing of packages for the American customer. Please though continue reading if you are from the United Kingdom as the tools, features and everything else that I cover here will be relevant to you. When you have finished checking out this site review why not check out my Best Genealogy Sites For Your Family History Research post. And then after that head on over to Top Ten Reviews where they review the ten best genealogy search websites that are both free to use and subscription based. I would love to hear from you. If you want to skip this part then please by all means and go straight to the meat of the review. But if you want to read a little bit about the history of Ancestry and why it is so popular then please carry on reading. Ancestry is literally the world’s largest genealogy search website and currently has an astounding 20 billion records. It is no wonder then that it has become quite popular with family historians. Incidentally you may like to know that on average 2 million records are added each day. So, you can see there’s no stopping this genealogy juggernaut. Because there are so many records to be found on this site there is definitely a very good chance that you WILL find your ancestors. And that is one of the reasons why this site is so popular. I will cover what other benefits that you can expect from Ancestry later in this review. Ancestry first began life as a newsletter way back in 1983. Then 11 years down the track in 1994 it relaunched as a magazine. With the dawn of the Internet in the late 1990s it was inevitable that the company behind this magazine would come online. And in 1997 they did just that when they created one of the largest genealogy search sites online, (subscription based). Ancestry continued to grow its database of information during the early 2000s. They would focus their attention on U.S. census records from 1790 to 1930. So who do you think you are? Then in 2011 Ancestry’s popularity really took off with its partnership with Who Do You Think You Are? Anyone who is of course interested in their family history has heard of this TV show. The show may have even been the catalyst for your pursuing your ancestors. Of course people who aren’t even interested in discovering their roots have heard of this show. These two are either in TV ads or splashed across newspapers or magazines. So they are pretty well in the mainstream. Anyway this partnership really helped Ancestry to take off and really made it become a world leader in helping people to discover their heritage. Ancestry soon spread all over the world, and have dedicated sites for countries such as the United Kingdom and Ireland, Canada, Australia, Germany, Italy, France, Sweden and Mexico. I can definitely see them expanding their portfolio of countries in the future. Not only will you find genealogical records for these countries but also offer countries as well. So this site can help you discover your immigrant ancestors homeland. Besides continually adding more and more records to its databases Ancestry also boasts an impressive collection of companies that they have acquired. Ancestry is the parent company for other genealogy search websites such as Archives, FindAGrave, Fold3, Newspapers.com, and Rootsweb. Is there no stopping Ancestry? But then again what’s the point? The more that is added to the site then the more that they can help us on our family history journey. With genealogy DNA testing becoming a great tool for the family historian it was no wonder that Ancestry would take the next step and offer this service to its customers. And to their new customers as well. At the moment Ancestry DNA only offers autosomal testing, which primarily looks at a person’s most recent ancestry. It is a great tool to help you to accurately discover your ancestors from about 5 generations back, (the further back you go though then the less accurate it becomes). Not only can this test show you where your ancestors originated from but it can also connect you with distant cousins. Isn’t that great. As of February 2018 7 million customers had purchased the DNA testing kit. With that number of people it really is possible for you to make a connection. And even if you don’t find a cousin now there is the possibility in the future. There are 4 main collections of genealogical records to be found at Ancestry. The first two of these are essential resources for you to build out your family tree and also to add details about your ancestors. When you are first starting out on your family history journey the first resource that you will likely come across are birth, marriage and death documents. These are what I used when I first started to trace my family tree. These documents can help you fill in the blanks, such as dates of significant events, places where they occurred, occupations of your ancestors and so on. But they can also help you go further back with your family tree. For example, on a wedding certificate you can see your male ancestor, your female ancestor’s maiden name, but also their fathers as well. So it’s a good tool for you to reach further back in time. After you have seen how powerful vital records are you will probably want to know what other records that you can use for your genealogy research. Census records can give you a snapshot of your ancestors lives. They can tell you all sorts of information about them, from where they lived, the entire family, their occupation, what assets that they had, and more besides. These records are a treasure trove of information and I have personally gone to great lengths to sift through them to extensively build my family tree. It has become a great aid for me and is the main reason why I have got a 2,000 strong collection of people in my tree. When you have gone through the records that I have discussed above you probably will want to know about your military ancestors. I know that I did when I had gone through the many vital and census records that I found. My father told me many tales about my military ancestors and had some original documents from their time in service. But I wanted to see what else I could find within this Ancestry collection. The military records held at Ancestry can tell you a lot. They can tell you such things as when they enlisted and what battles that your ancestors saw, any awards and decorations, or maybe even any disciplinary actions that they faced. This is really a collection of every record to be found on the site. So it will include the three collections that I have mentioned above plus more. Immigration & Travel – Passenger lists, Citizenship & Naturalization Records, Border Crossings & Passports, etc. Schools, directories & church histories – City & Area Directories, Professional & Organizational Directories, etc. Tax, criminal, land & wills – Wills & probates, Land Records, Court, Government & Criminal Records, etc. Reference, dictionaries & almanacs – General Reference Materials, Research Guides & Finding Aids, etc. And besides these records there is more within this collection to help you with your family history research. What do I think of the available records! With the collection of records that I have highlighted above it is no wonder that Ancestry has become so popular. The vital and census records I feel are what bring people to the site. But there is so much that you can find out about your ancestors from this site. As I have mentioned Ancestry is really the reason why I have so many people in my family tree. To be honest I could have done it by visiting another genealogy search website, FindMyPast, (which I have on occasion). Because Ancestry was so simple to use I found it to be a great source of information. I just wonder what other records will be added in time. But what if you live outside of the U.S., U.K., Canada or Australia? If you and your ancestors are from outside these countries, (and the others that I listed above), then this site might not be for you. Instead, you could turn to a genealogy society near you for help. Ancestry though are the biggest fish in the genealogy pool, or maybe that should be ocean. Anyways with such a wealth of information here, and if you are from these countries, then this site should be your first port of call. But I don’t want to sound like I’m selling this site to you. That’s not what I am saying. I am saying that this site CAN help you and you should consider checking it out. But if you are just starting out on your family history journey and don’t want to spend your money then you can always check out FamilySearch. There are millions of records to be found on this site, not as much as Ancestry but certainly they can help you find your ancestor. 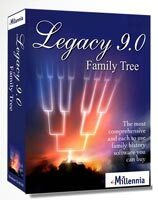 As with any genealogy search website these days you will expect to find a family tree builder on this site. And you would be right. The beauty of this tool is that as you enter your ancestors and add information about them then you will be presented with hints. You’ve probably seen this feature highlighted on one of the many adverts that have been played on TV. These hints are a way for you find more information about your ancestors by connecting you to possible records featuring them. I say ‘possible‘ because these leads are only based on the information that you have provided. The more information that you plug into your tree then the more accurate that they will be and the more chance that you will discover even more about your ancestors. Anyway I have digressed from what I was saying. Building your tree is as easy as 1, 2, 3, 4! OK, you were probably expecting me to say it’s as easy as 1, 2, 3. Sorry to add another step but you do not need to worry as it really is a simple process to build your family tree and discover your ancestors. Start with what you know – Begin by adding information about yourself. Then move on to your parents, grandparents and fill in what you know about them. Get the hint – The hints, or rather leaf as they are called, are what connect you to records about your ancestors which can then help you learn more about your ancestors. See the hint and save it – Add whatever information that you have found from the hint to your family tree. Watch your family tree grow – Yep you don’t really need to do anything for this step. The more that you add to your tree then the more hints that you will get. So just watch it grow as you plug in more and more ancestors and information. But I already have a member tree! You may have already began researching your family tree and the prospect of filling in a brand new tree on this site is definitely not appealing. Yep, I can agree. It certainly will eat away at your hunger to find your ancestors. Luckily for you can upload your family tree to Ancestry and carry on your research. All you need to do is upload your GEDCOM file. Any genealogy software program will allow you to save your family tree as a GEDCOM file. You just need to either save or export your tree, whatever option that you are given in your program. There are primarily two ways for you to discover your ancestors at Ancestry. I have already mentioned the first one which was the hint feature. This is a great way for you to quickly and easily gain access to records containing details about your ancestors. The second tool available to you is the search feature. And like the hints feature the more information that you plug in then the more of a chance that you will make a discovery. That is basically all you need to enter about your ancestor in order to find records for him or her. If you want to be more successful with your search then you do have the option of filling in more information. You can also select whether the search has to be ‘exact‘. That is whatever information that you enter needs to be exact spelling found within the records. Of course this option will help limit the number of records. But please be aware that there may be occurrences where your ancestor’s names were incorrectly entered. Take my surname for example which is ‘Couch‘, but I did find records where it was either ‘Cooch‘ or ‘Cauch‘. Add life events – Enter details about their birth, marriage, death and other events. Add family members – Enter relationships such as their mother, father, spouse, siblings and children. Obviously filling in these details will give you a much better chance of you finding your ancestors. Also, it will save you from sifting through the many records that might pop up after you have entered these details. On Ancestry you can view a record in one of two ways. First of all you can view the record by using the image tool to see the scanned version of the document or record. The second way is to view the transcribed account of the actual document or record. I would definitely advise you to check out the image, as well as the transcription. The reason is that during transcription errors may have occurred, such as a miskey or incorrectly deciphering the handwriting on the source. The transcriber obviously doesn’t know your ancestor from Harry or Sally. You will probably have a better idea of what information that you may find on the record, (such as their name or place of birth). So, it’s worth checking out the image! With the image tool you can flick around to anywhere on the document or record. And you can even zoom in. That’s great if you too are having a bit of difficulty deciphering what has been written. Not only can you save records and attach them to individuals in your family tree but you can upload your own images. Ancestry makes this process easy by allowing you to take a picture of a document with your phone and adding it to your tree. Of course with this app you can take your family tree wherever you are. So you are not tied to your computer at home. Also, the other benefit of this app is is that if you do find information while you are out you can immediately save it to your tree. You don’t need to scribble down what you find and then later add it to your tree. Part of the charm of Ancestry is that there is an active community of family historians on the site. If you have a query or you have a hit a brick wall in your research then have no fear as help is at hand. If you don’t fancy going through Ancestry directly for help, or you feel that the community may help you better, then you can always check out the message boards for support. Staff though do frequent these boards so you may actually get a response from them. The other benefit of interacting with the community is that there is a real chance that you may meet a distant cousin. How cool is that hey? If this does happen to you then that is great as it opens up another possibility for you to gain even more knowledge about your ancestors. Of course though I would advise you to reciprocate the gesture and offer what information that you have about your family tree. You can search the message boards by entering a name, keyword or even topic. If that doesn’t return what you are after then you can always check out the categories, which will narrow in on what you are after. Localities – Australia, Canada, U.K. and Ireland, United States, Western Europe, and more. Topic Categories – Cemeteries & Tombstones, Genealogy Software, Immigration & Emigration, Military, Research Resources, and more. The advantage of using the message boards is that you can communicate with people from all over the world. You are not restricted to chatting to people within the United States. This project is how Ancestry gathers its library of records. With this feature you can upload what information that you have, such as records, images or whatever other sources of information that you have. Genealogy is a group hobby. You cannot go too far without help and support from fellow family historians. I soon realized when I started to trace my family tree how much that I could learn from others. Not only tips and where to look but also information pertaining to my family tree when connecting with distant cousins. So, it’s important to give back and help others to discover their ancestry. The community at Ancestry is a great way for you to get help with whatever is bothering, genealogy related of course. But there are other ways for you to get help. Help Section and Learning Center – Can give support on a range of different topics as well as giving you a list of the most recent articles. FAQs – Covers a range of different questions and answers relating to how to use Ancestry, how to find your ancestors, and even billing concerns as well. YouTube Videos – Learn quickly by viewing a helpful video made by Ancestry. Chat – Get help immediately by using the live chat. Contact Form – Ask your question by filling in a simple form. Email Staff – Or email staff directly with your query. If you feel that you are unsure just which way to proceed with your family tree or that you want to have someone do the legwork for you then you can hire an expert. With this support you can hire anyone of the pros at Ancestry to solve your brick walls and help you build your family tree. They will work on your tree for a minimum of 20 hours. Your hired expert will definitely go far with your research in that time. Of course though you can ask them to work on your tree for longer if you wish, up to a maximum of 50 hours. Hiring an expert is great as they know where to look and how to find the information that is needed. The only downfall of this service is that it can be quite costly. I don’t know about you but I love a free trial. It’s a way for you to find out what the product or service is about and whether it is right for you. And I am glad to say that Ancestry offer a 14-day free trial. Yep, that’s right you have two full weeks to get used to the site, get a feel for it and find out whether this site is for you. I would though advise that you make sure that you do have free time on your hands. There is no point signing up to this site only for your time to be preoccupied with other things. You want to take full advantage of this site. So make sure that you can spend as much time as you can in a fortnight with this site. And don’t be afraid to use the family tree builder tool. Enter your credit card details! You maybe disappointed to read that in order to take advantage of the 14-day free trial you must give Ancestry your credit card details. Don’t worry though as they won’t take your money. When you sign up to the free trial Ancestry will want to know which package that you are interested in and the duration. I know what you’re thinking. How do I know which package is for me when you haven’t even started using the site. For that reason I would suggest the base package. It’s a great way for you to get a feel for the site and there is plenty of information there to get you started on your family tree. I’ll cover the packages next. Basically though the reason why you have to fill in your card details is that it is a guarantee for Ancestry that they have your information. Also, there is more chance of sticking around after the two weeks is up. Plus, I shouldn’t say this but, if you do forget to cancel then you will be automatically billed for the package that you selected once the trial is over. With that said it really is up to you to make sure when your time is up. There are 3 different packages that are available to you, each granting you different levels of information. As I suggested just above if you are new to genealogy then just stick with the base package. You can always upgrade to one of the higher packages if you wish to. Also, you get the option of whether you want access for only a month or whether you want to use Ancestry for 6 months. Personally, I like how you get a 6-month option instead of a yearly subscription. That way you are not tied into it for 12 months, (what’s the point in that if you only want to use it for a few months). The higher up you go with the level of membership then the more information that you will gain access to. The U.S. 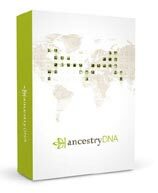 Discovery package is the base option and is a great way for you to get a feel of what Ancestry has to offer. If you want to learn more about your ancestors outside of the States then you will need to opt for the World Explorer package. It is a bit of a price hike but in my opinion it is well worth it. But if you want to go whole hog on it then yeah go for it and select the All Access package. This package will give you everything that the other two have to offer as well as access to military records, (via Fold3), and a basic subscription to Newspapers.com. Next you will want to select the length of duration that you want to be signed up to Ancestry. So you can decide either to stick around for a month or maybe longer and go with a 6-month membership. The benefit of a 6-month membership is that no matter which package that you go for you make a saving. And the higher up you go with the packages then the more of a saving you will make. You can though decide to opt for the basic package and just for one month and see how it goes. After that there is no stopping you upgrading the package and the length of membership. If you think that I am going to give you a free username and password to gain access to Ancestry then think again. That’s not what I am saying. There are ways for you to check out Ancestry for free, 4 ways in fact. If you want to learn more then please check out my 4 Ways You Cant Get Records At Ancestry For Free post. When you have decided on which package that you want you will need to fill in some details. You will need to enter your first and last name, as well as your email address and a password, (the password will need to be 8 or more characters). After that you will select your package from the options and the length of time that you want to be subscribed to Ancestry for. Don’t worry if you make a mistake with this step as the final part in the process is to review your order. If you do decide it’s not for you then just cancel it. But if you do want to discover your ancestors and feel that Ancestry is right for you then I say go for it. OK, so I have probably given you a one-sided view thus far of what Ancestry has to offer and my opinion of the site. Although in this review I have mentioned the advantages and disadvantages. So I haven’t exactly been all for Ancestry. With that said let me share with you other customers concerns with the site. Of the 100 plus reviews on this site most of the people found Ancestry to be quite helpful. There were a few grumbles from some customers which obviously brought the rating down to 3 out of 5 stars. These customers were happy with Ancestry as they got what records that they were after, were easily able to use the site and got the support that they needed when they got stuck. However, you can not satisfy everybody all the time. And there were a few people complaining about the poor customer service. I won’t analyze any particular case but suffice it the main concern was the wait time. With Ancestry being quite popular you can expect to be waiting before you get help. Also, even though I said how most people were able to work around the site there were a few that found it difficult. The many options made it seem overwhelming for them and they didn’t know where to go. First of all I want to ask you a question. With 20 billion records available to you right at your fingertips why wouldn’t you want to sign up to Ancestry? OK, that may sound a bit forward of me. But as I have mentioned in this review Ancestry has really helped me to discover my ancestors. Most of what I wanted to know about my ancestors was all in the one place. That meant that I didn’t have to go here, there and everywhere on the Internet. I just really needed to go to one site for what I was after. Even though the price of this site is a bit, shall we say pricey, for me it was definitely worth it. Just for the reason that you have everything that you need to start building a family tree all in the one place. This site suits both the beginner and seasoned genealogist. So, if you have been researching your family tree for a while and haven’t checked out this site yet then please do. It can help you immensely. Yes, I definitely do recommend Ancestry. There are plenty of genealogical records on this site for you to sift through to keep you busy. If you decide to subscribe to this genealogy site then please come back and let me know what you think of it. I would love to hear how it is working for you. I hope you enjoyed this post giving my Ancestry.com review. If you have any questions or comments then please leave a comment below. Please share with family and friends if you think this post will help others by using the social media buttons below. Dead Fred Review – Genealogy Photo Archive Resource! My Free Family Tree Builder Online Guide! Archives.com Reviews – Just What Are People Saying! One Great Family Genealogy Site Review! Hello, Owain here. After researching my family history for a number of years I wanted to give back to the genealogy world. So here you will find guides, tips and product reviews that will help you on your genealogy journey. Thanks Karen. Considering Ancestry have the world’s largest collection of genealogical records then it is worthwhile, (in my opinion), to spend a little bit more. After all the money does going towards digitizing these records and improving the site and service. Wish you the best with checking out Ancestry. I used Ancestry.com and Family Tree Maker for about 25 years. They worked very well until Family Tree Maker was bought out. Then things began to work less well. I downloaded the new FTM several times and yet there was no link with Ancestry. I contacted FTM and Ancestry several times but there was no assistance. Therefore, I left ancestry and FTM and bought another program and went to another genealogy window. These have not proved useful and I have mainly given up following genealogy. When checking the information I have against the information I could gain from the new program I could not find the information I have. The new program I have has proved totally disastrous: I have bought the explanation (how-to) book but I still do not understand how the program works. The program seems to be counter-intuitive. For instance to go from one subject (person) to another subject one goes through 3 or 4 complicated stages whereas to go from subject to subject on Ancestry takes only one stage. I would like to go back to Ancestry and FTM but am somewhat nervous about the link between FTM and Ancestry. I too used to work with Family Tree Maker and connect to Ancestry to find records. Unfortunately decided that they didn’t want to continue developing the Windows version of FTM. Fortunately though Mackiev, (who developed the Mac version of FTM), took it off Ancestry’s hands and continued to develop it. I’m sorry to hear that you cannot connect the two as the new Family Tree Maker 2017 and Ancestry should be able to. Check out this syncing guide which may help you. Your new program doesn’t sound very user-friendly. Could you tell me what program that is? This is a wonderful review, it is so comprehensive. I love ancestry.com. I have found out so many different things about myself and my ancestors. My parents have even got their DNA results which were so amazing to see. I would recommend the site to anyone trying to build their family tree or find out more about their genealogy. Thanks for sharing! Thank you for your kind comment Melissa. I am glad to hear that you have also found so much information about your ancestors through Ancestry. Not to sound bias but it is a great website. Find guides, tips and product reviews that will help you on your genealogy journey. What Is A Genealogy DNA Test? A Quick Guide To Hiring A Genealogy Researcher! First Name Meaning – Where To Learn More? You can request your data stored in our WordPress database (comments, forms etc.) by filling in your email address. put in an additional request to have the data anonymized. The Genealogy Guide Copyright © 2019.